Weighing the pros and cons of using therapy apps. Mental health itself may not have changed, but the way we seek help for it has: Increasingly, we’re looking to our phones for help. Given that we’re constantly connected to our devices, a number of companies have developed therapy apps in the last few years to offer treatment via smartphone. These apps range from one-on-one chat apps like Talkspace, where you can directly message a professional, to support group apps like iRel8, where you can talk to a community of individuals dealing with similar issues. It’s no surprise that mental health therapy has seeped into the digital sphere. However, the big question is: Do therapy apps successfully help us treat mental health issues? “The biggest benefit of therapy apps is that they address the mental health treatment access gap,” says Dr. George Nitzburg, adjunct assistant professor of psychology and education at Columbia University’s Teachers College, where he researches how technology can improve our understanding and treatment of mental illness. According to a 2005 study, only about 40 percent of people with a diagnosable mental illness receive any sort of help. “What do you do if you don’t know that 40 percent of people? At their core, [therapy apps are] helping people have access,” Nitzburg says. Often, there’s a conflict between how much money people can realistically pay for mental health treatment, and how much the “gold standard” of treatment costs, Nitzburg notes. This “gold standard” entails once-weekly psychotherapy along with medication prescribed and monitored by a psychiatrist—but that feels next to impossible for a lot of people, as does the time commitment (often up to five hours a month). These apps are most helpful for people who live in rural areas, since they often have fewer mental health services than urban areas, notes Dr. Lynn Bufka, associate executive director for practice research and policy at the American Psychological Association. The apps also really help people who are dealing with a new problem in their life and want to intervene early, Nitzburg explains. Therapy apps tend to be most appropriate for people with milder symptoms—before they worsen and need more intensive care. I’ve seen these apps work well for people who have recently moved to a new city, for example, and are dealing with loneliness, Bufka says. Still, a different type of intervention may be required for those struggling with more severe conditions like major depression or thoughts of suicide. With traditional psychotherapy, there’s a sense of compartmentalization in that you’re with your therapist at an appointment, but then you’re immediately disconnected after you leave their office, Nitzburg says. Therapy apps, on the other hand, provide a pretty remarkable amount of therapist co-presence. 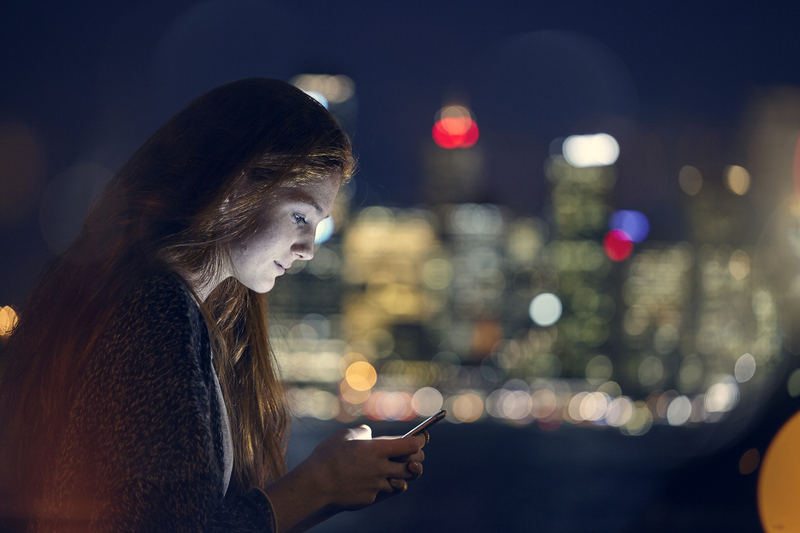 If you’re feeling anxious at 3 a.m., for example, you have the option to reach out to someone through an app. “Being able to catch patients when they’re in a vulnerable state of mind and help them feel less alone — these are very real and rich positives,” he says. “Even if you write to your therapist, and they don’t respond right away, you know it’s going to your therapist’s inbox.” That adds a level of commitment and accountability that helps patients feel less isolated. And while it’s true that therapy apps don’t offer the audiovisual cues present in face-to-face therapy, there’s evidence indicating that patient-therapist relationships don’t necessarily suffer without those cues, Nitzburg says. In fact, letter writing has helped people form profound relationships throughout history, so communicating your emotions to another person via text isn’t actually a novel idea. Therapists have been struggling to get patients to journal for years, but there’s something qualitatively different between writing to a book and writing to a person, Nitzburg notes. Still, Nitzburg argues that therapy apps can actually foster early disclosure of otherwise very sensitive material. Technology has completely changed the way we communicate, so some people may be more comfortable opening up about their issues on an app than in person. “If a patient comes in and they don’t really say what’s going on with them, the therapist has very little to work with,” he admits. Even with their flaws, these apps have the potential to benefit a lot of people. But there are those who don’t fully trust online therapy, especially given the blurry legal landscape. The Verge investigated several cases at Talkspace where therapists requested clients’ confidential contact information after identifying a dangerous situation and were declined by a Talkspace employee. The company has since revised its emergency protocol to encourage therapists to ask patients for contact information before contacting management. However, the issue remains: If for some reason the therapist doesn’t receive the information in time, will they — and the app — be held responsible for the outcome? Clearly, the stakes are high. But when one in five adults — over 40 million Americans — are suffering from a mental health condition, and many states and communities lack enough mental health providers, according to data from Mental Health America, these apps could bring help to people who otherwise wouldn’t get it.